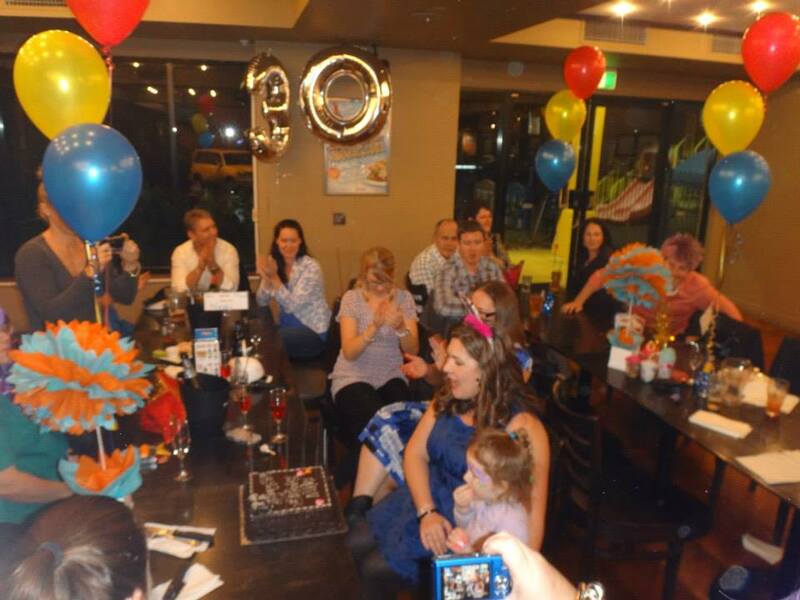 After much planning, the family gathered last weekend for my sister’s super surprise 30th birthday bash. My uncle made a special trip from interstate to surprise the whole family – which was great! Only hubby and I knew he was coming, so it was a big surprise to keep! After picking up the balloon decorations and delivering to the venue (which was hilarious as we had difficulty fitting them in the car), we headed home to get ourselves and the kids ready (in record time which was an achievement in itself). 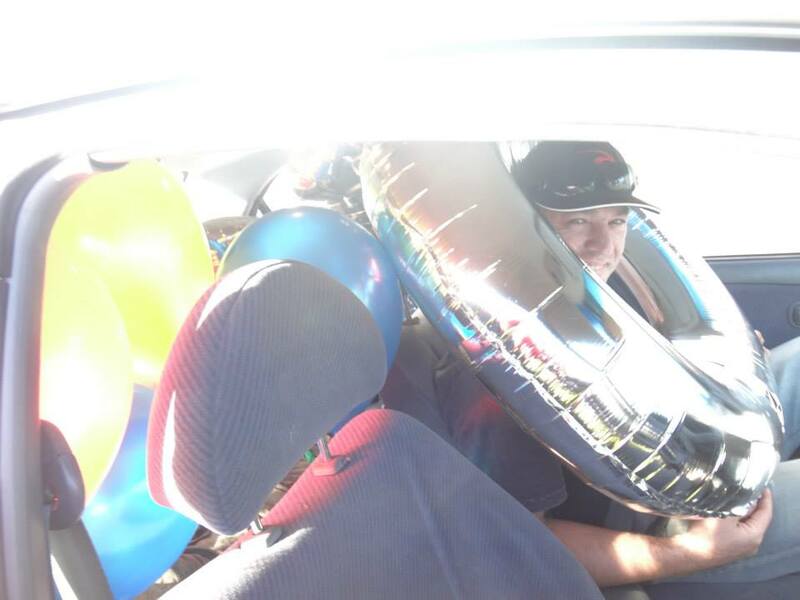 Cramming the balloons in the car with our Uncle who was a surprise visitor from interstate! 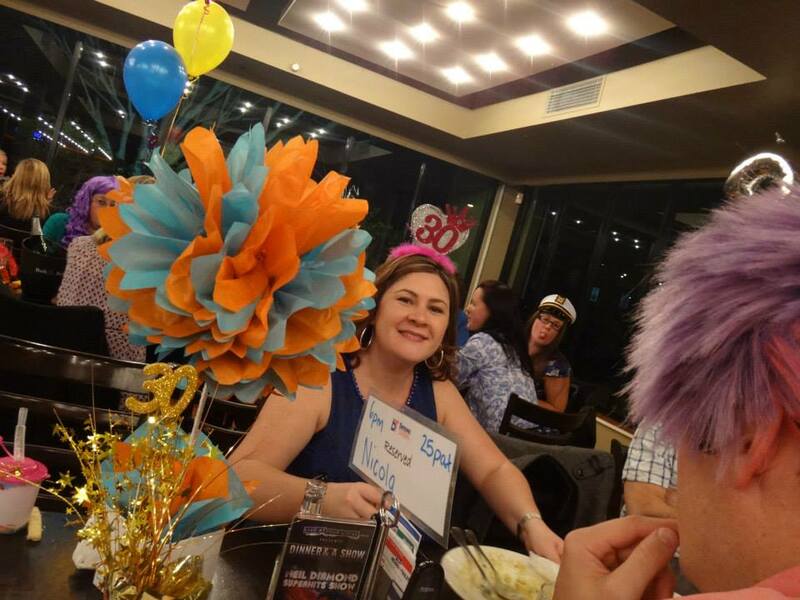 My sister arrived at the birthday celebration, held at Benowa Tavern, expecting to see a couple of friends and family, but was surprised to see everyone who managed to turn up – and the best part – we were all in theme – wearing novelty hats/wigs/headpieces! Looking absolutely ridiculous! 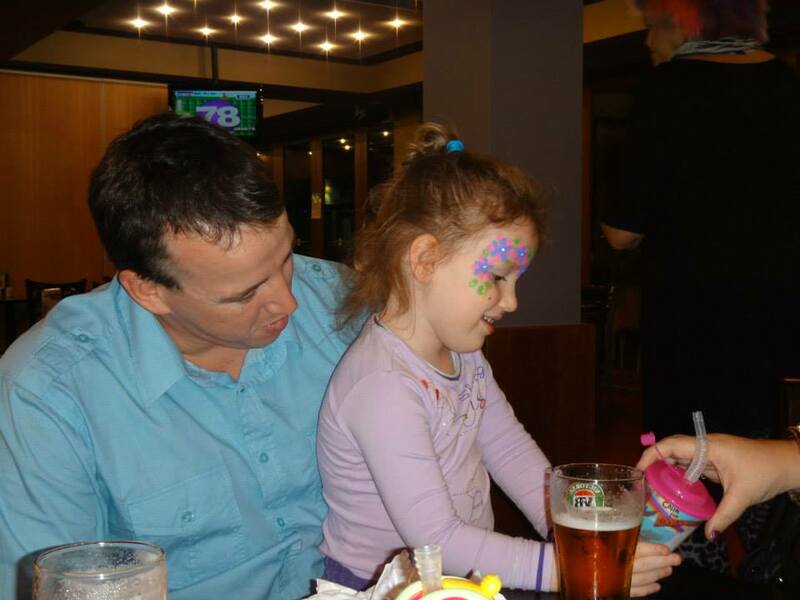 Benowa Tavern is a fab place to take little ones as they have a face-painter there to entertain the kids in the children’s room on Saturday nights, and there’s also a well-lit outdoor park (good if the kids are all rugged up, which they were). Birthday girl. My sis (who is 14 months younger than me). 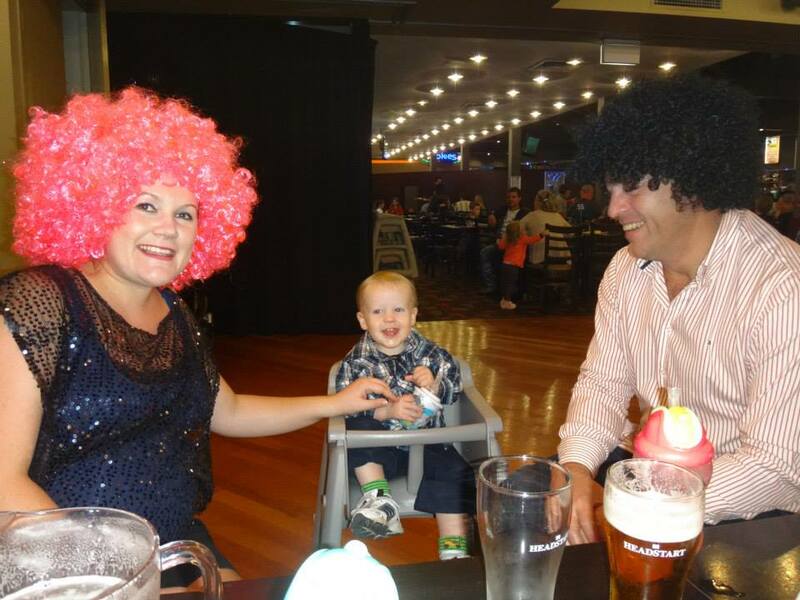 Miss 3 and Mr 18months enjoyed wearing their novelty wigs in short bursts, andhad a ball playing outside. 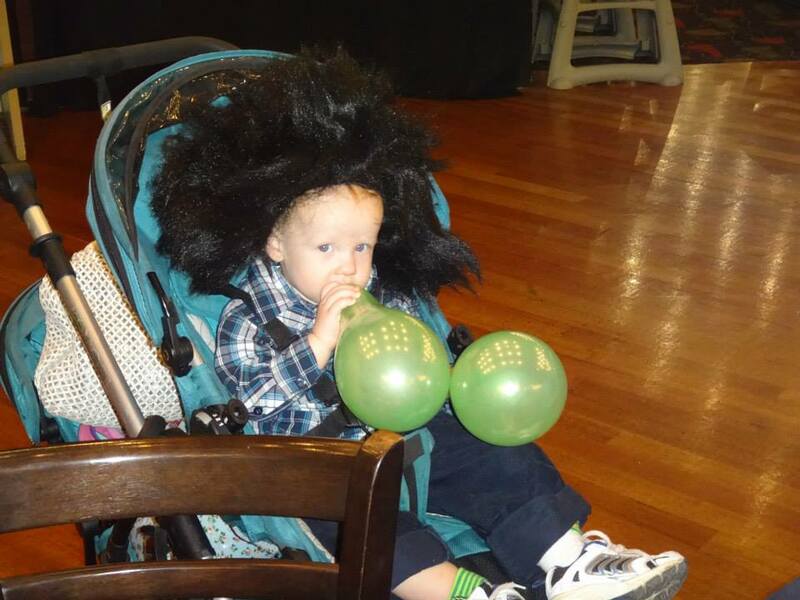 Mr 18 months rocking his 'fro. 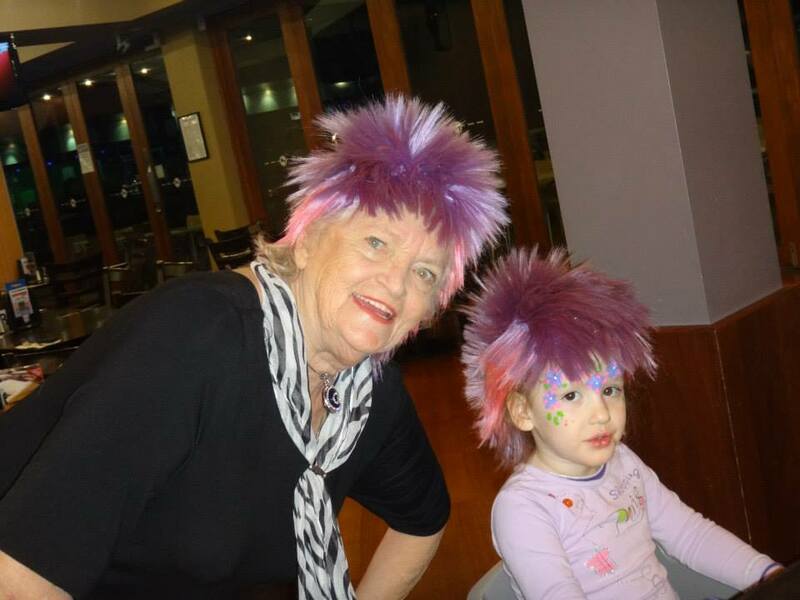 Miss 3 with her Great-Grandmother (my Nanna). The adults enjoyed their meals, then after sharing in mysister’s moment of glory (helping, as they always do, to blow out the candleson the birthday cake), hubby took Miss 3 and Mr 18 months home, along with myNanna, and put the kids to bed, while Nanna stayed at our place keeping an eyeon them for us. Hubby came back to the Tavern to join us for some good old Rockaoke (karaokewith a band), and a few of us had a crack, belting out a few tunes. 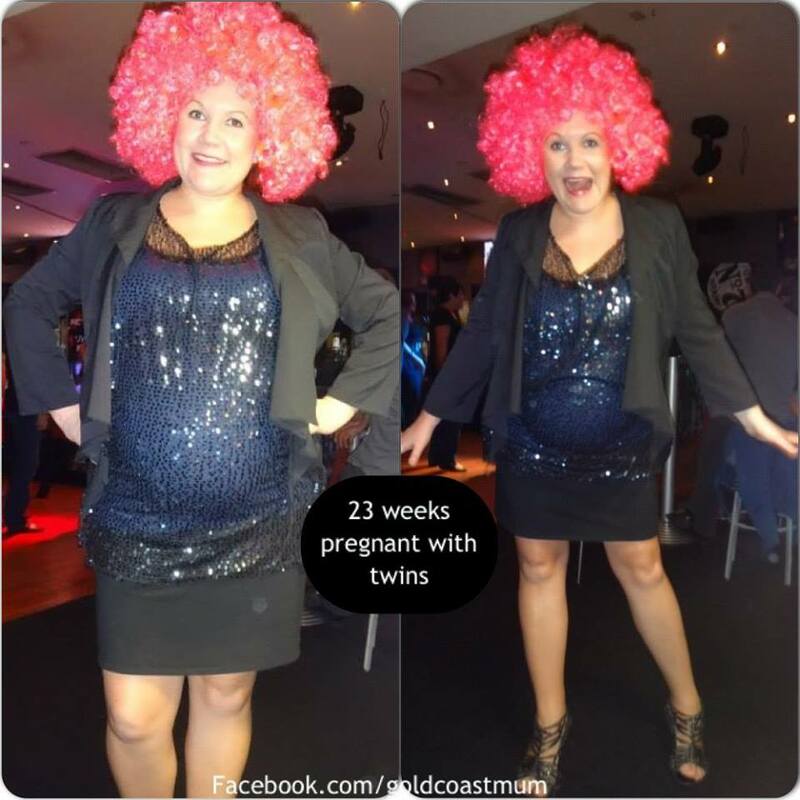 Even though I used to ‘frequent’ the karaoke circuit back in the day, BC(before children), I found it a bit more of a challenge with the twins takingup a lot of room in my belly and surely crushing my organs necessary forbelting out a tune, so I wasn’t at my best, ha ha, but it was all good fun. Our Uncle rocked the house singing a Blues Brothers favourite, Shake a Tail Feather,and got the crowd dancing. 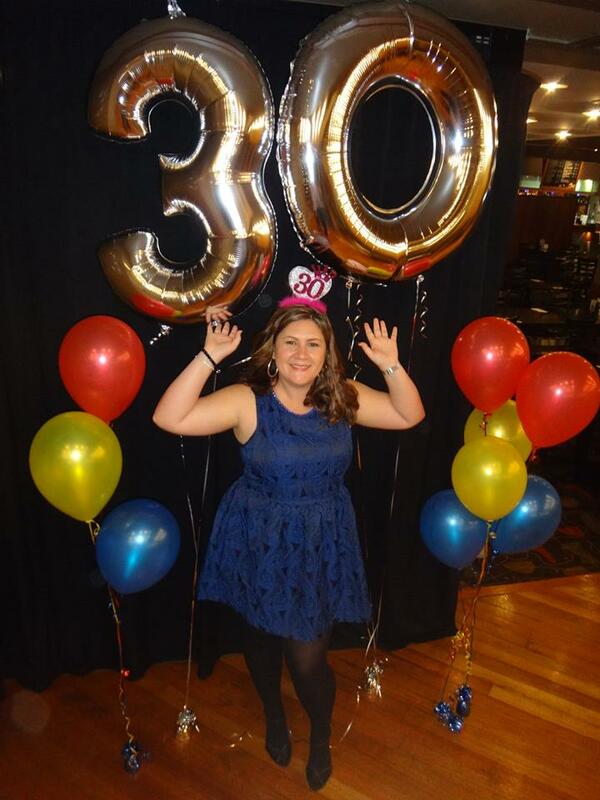 My sis, the Birthday Gal sang Crazy Little ThingCalled Love (another crowd pleaser), I sang Torn and later on, my sis and Ijoined our Uncle on stage to sing Love Shack together which was hilarious! The band were fab, and gave a few shout-outs to my sis, wishing her HappyBirthday, and even sang it for her! It was a good night out with a good combinationof family fun. Daddy & daugher. Miss 3 was so thrilled with her new water bottle.